Clipper Earl Grey Loose Tea comes from very special tea gardens set high in the beautiful mountains of South India. Here the China tea plant thrives in a wild and remote environment. This organically grown China tea delicately scented with natural bergamot flavour makes the perfect cup of Earl Grey. This box contains 125g of loose tea. Organically grown tea, Natural bergamot flavouring (5%). 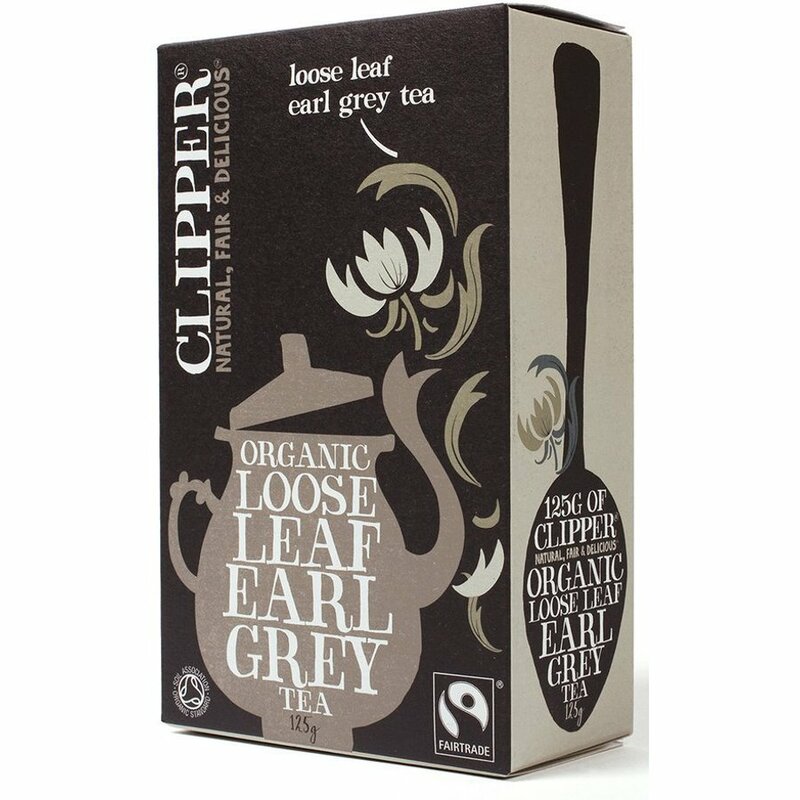 The Clipper Organic Earl Grey Loose Leaf Tea - 125g product ethics are indicated below. To learn more about these product ethics and to see related products, follow the links below. 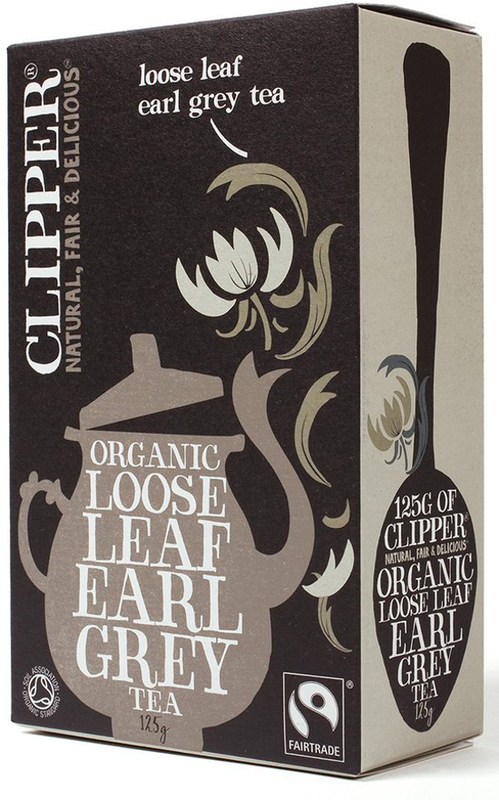 There are currently no questions to display about Clipper Organic Earl Grey Loose Leaf Tea - 125g. Always an innovative company, even when it began back in 1984, Clipper Teas were the first company in the world to produce tea with the Fairtrade foundation logo attached. Big on firsts, and innovative in nature, Clipper Teas were also the first to launch a range of organic teas and the first to produce and market a mainstream organic instant coffee and an organic, Fairtrade instant hot chocolate. All of Clipper's products are packed in 100% biodegradable, non-chlorine bleached paper and card from managed, sustained forests. All teabags are made from unbleached paper, meaning you are free to compost boxes and bags for your organic vegetable plot!